The seventh round of the Alekhine Memorial, that ended shortly in St. Petersburg, was won by the "veterans" - participants of last year's World Championship match, Boris Gelfand and Viswanathan Anand. This result is crucial for both of the players, as the World Champion now runs a surplus and Gelfand has joined the leader. Here the English player has played too cautiously: 24.Kxg2?, and after 24...Rxd4 25.b5 Rxc4 26.b6 Qb7+ 27.Qf3 Rb8 28.Rfd1 Qxf3+ 29.Kxf3 Kf8 he did not manage to win. A major tempo could have been won after 24.Rfd1! (the pawn h3 does not count, when one has connected passed pawns like these). White is close to a decisive advantage. The only decisive game in Round 3 of Alekhine Memorial took place between Boris Gelfand and Michael Adams, who has been leading the tournament after two straight wins. Gelfand didn't let Adams to equalize although Englishman was close to that. Levon Aronian recovered from the yesterday's loss at the Alekhine Memorial. Armenian GM Levon Aronian celebrated his second victory in Alekhine Memorial. Svidler chose Grunfeld which turned out to be powerless against Aronian's home preparation. The English "veteran" GM Michael Adams demonstrates a brilliant performance after two rounds of the Alekhine Memorial: yesterday he defeated Vishy Anand, today he beat Peter Svidler. 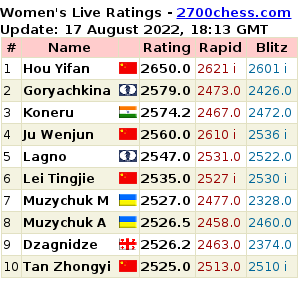 The Alekhine Memorial started for GM Aronian quite unsuccessfully: he was defeated by one of the rating outsiders of the tournament Chinese Ding Liren. 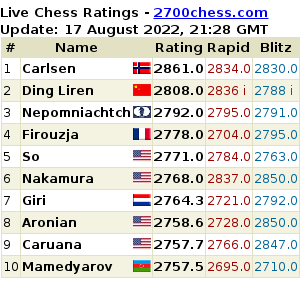 Aronian stood worse during the entire game. It seems that his experiment with 12...Bc4 was a bad idea.